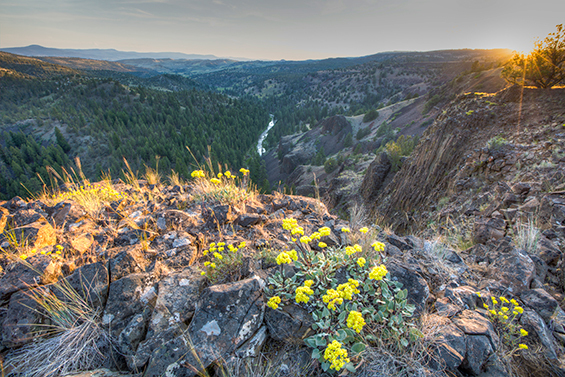 The Interagency Wild & Scenic Rivers Council, in partnership with the River Management Society, annually recognize excellence in protecting our country's wild & scenic rivers. In that same spirit, the U.S. Forest Service also recognizes their own staff, volunteers and partners who contribute to the agency's misson of protecting these rivers. Nominations are now being taken for the Jackie Diedrich Excellence in Leadership Award. Now retired, Jackie Diedrich was the U.S. Forest Service's Wild & Scenic Rivers Program Lead. Jackie worked—and continues to work—to improve management of the National Wild & Scenic Rivers System. The award recognizes a key individual in any of the four river-administering agencies that has shown outstanding leadership in going “above and beyond” to manage and protect wild and scenic rivers. The nomination form is available via the linked PDF below. Nominations are due by April 15, 2019. For other awards related to wild & scenic rivers, please visit the River Management Society's Awards Web Site.